Virat Kohli celebrated his 30th birthday with wife Anushka Sharma in Hardiwar away from all the hustle-bustle. 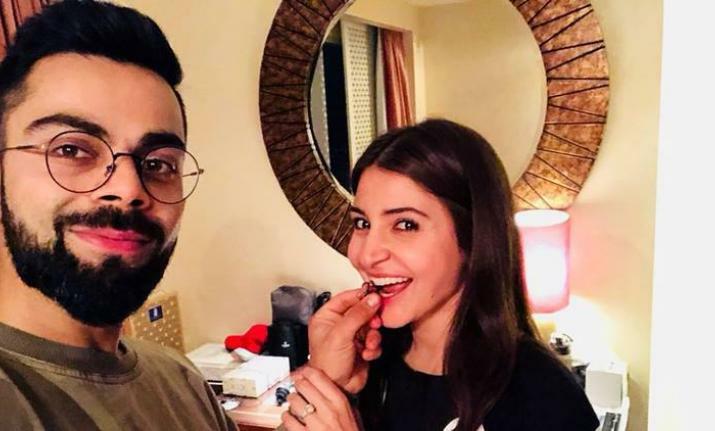 Anushka even posted a picture with her husband on Twitter and thanked God for his birth. While everyone found the picture cute and adorable, there was someone who was jealous. It was Bauua Singh. Bauua is a character from Anushka starrer movie Zero and is played by Shah Rukh Khan. It has a Twitter account as well which nowadays works well in the promotion of movies. As per sources, Kohli and Anushka will go for river rafting as well in Rishikesh. They are also said to visit Anant Baba’s ashram for the blessing.